This year Apple Jam’s Roaming Rallies will again bring motorcycle adventurers TWO Roaming Rallies for 2019. Again we will ride along the basic path of the North and South Cascade Discovery Routes. With all of your catered dinners, breakfasts & lunches and a whole lotta fun included with each entry, AJ’s Cascades Roaming Rallies provide a great way to travel light with way more camping fun! General registration for our 2019 Roaming Rallies will begin at NOON, January 1st, at this website. 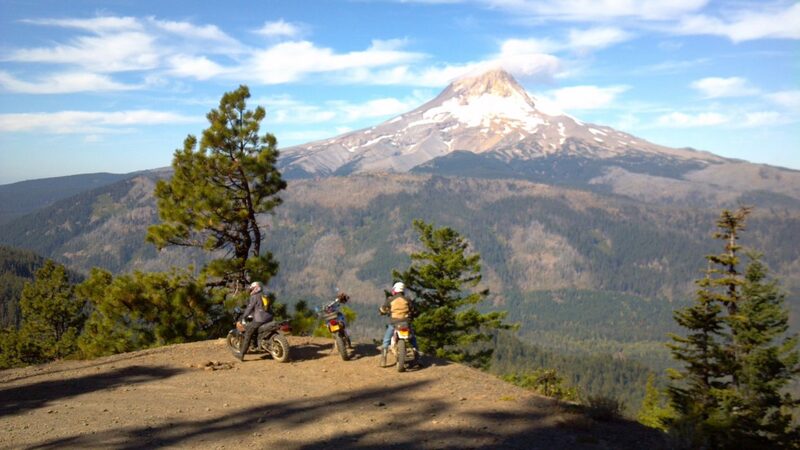 Developed for the fun of fast riding and slow camping, the North AND South Cascade Discovery Routes offer a 500+ mile long (more than 95% is unpaved) Dual Sport Motorcycle Route made up of many very good, bad and very ugly old roads & trails. The North Cascades Discovery Route starts near Hood River and ends near Big Lake, Oregon. 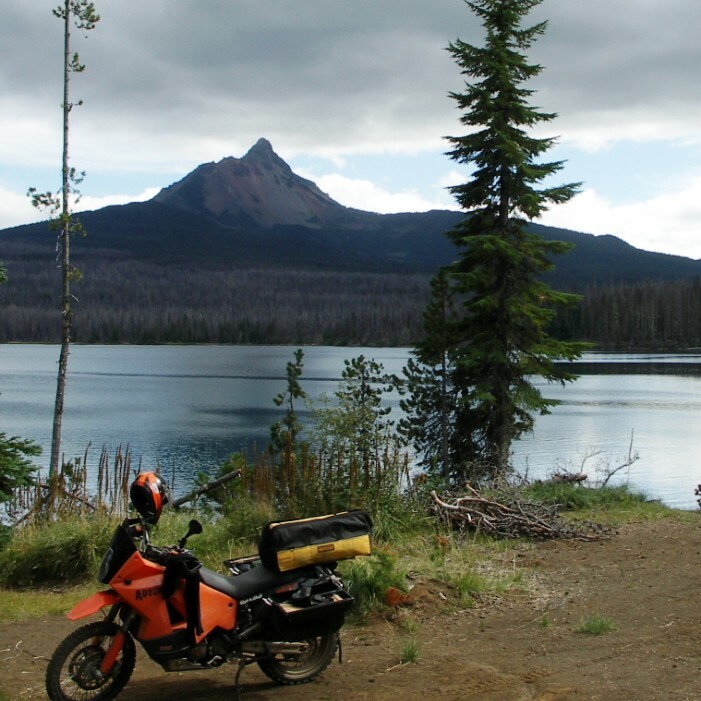 The South Cascades Discovery Route leaves Big Lake for Diamond Lake on some more great Wilderness-edge bad roads (brought to you by ADVRider inmate 97707). 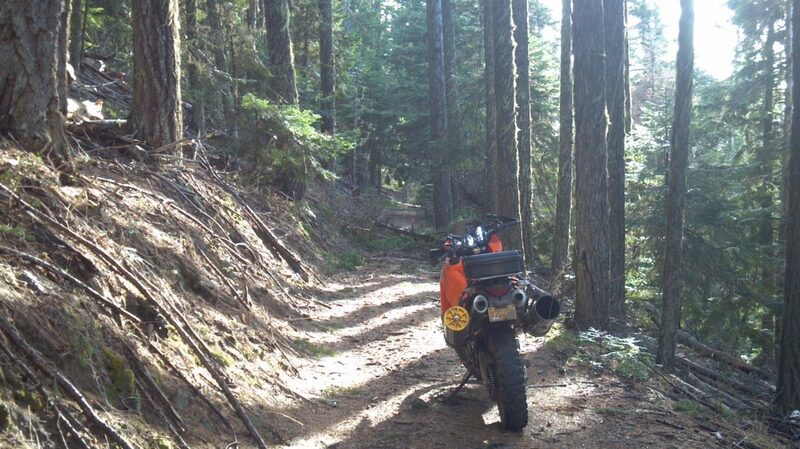 The main goal of this ‘Ride Oregon First’ website is to promote Dual Sport Motorcycling in the ADV way. Riders of all ages, whether on big bikes, little bikes, dirt bikes, or Adventure bikes, we all mostly share this common goal: to “Ride the World”. Butcha gotta start somewhere, so I’m starting with OREGON. So,…what are you waiting for? …Let’s Ride Oregon First!!!!! Please take some time and visit these GREAT local moto-vendors that offer great products and proper advice when you need it. They are all ADV, and they have already earned your business !!! Darryl at Cyclops Adventure Sports gave our Roaming Rally TWO brand new TPMS (Tire Pressure Monitoring System) last year, and we gave them away to two deserving Roaming Rally riders. Brian and the Bombers at Atomic-Moto offer all the best boots, helmets, all types of riding apparel and body armor, along with all the other battle gear you’ll need. Atomic-Moto is just a quick click, or if you also need GREAT advice, Brian is just a phonecall away. I just bought a brand new pair of SIDI Crossfire3 from Atomic Moto based on Brian’s personal recommendation! Pete and Andrew @ Mosko Moto are local to White Salmon, Washington, and are doing their part to bring big adventure moto-luggage to new levels. Soft luggage for hard travel, indeed!! Mosko-Moto offers very innovative new luggage product for big bikes to dirt bikes. And this year will bring Mosko-Moto riding gear!! Alex and Heather @ Konflict Motorsprts earned my business for suspension service many years ago, and I seem to wear it out 🙂 It doesn’t get any better than Konflict Motorsports to improve your bad road & trail suspension needs. Harold and the crew began to offer cross country adventure riders the very first truly rugged luggage solutions for adventure travel over 10 years ago. Still the most copied, yet the original still gets better every year! Please visit the Cascade Discovery Route thread at www.advrider.com. Read great Ride Report Adventures & general moto entertainment. It's also a great place to find riding buddies. ............................................ www.advrider.com is a most excellent motorcycle forum open to all types of Dual Sport Motorcycle Riders.